It is becoming increasingly common to see distilleries release bottlings worth hundreds – if not thousands – of pounds. But are producers justified in their price hikes, or has whisky pricing gone mad? Tom Bruce-Gardyne seeks answers to this contentious question. Looking for value: Has the whisky pricing pendulum swung too far? Anyone tackling the thorny issue of price has to accept that, not long ago, whisky was often absurdly cheap. As recently as 2007, UK supermarkets were flogging three-year-old Scotch blends for just £6.99, of which the taxman took all but 50p. To add insult to injury, the stores charged the same for vodka hot from the still, which paid less tax, being marginally lower in strength. The whisky loch was still full to the brim, which also made most single malts a relative bargain. Since then there has been a shift in supply and demand, and a dramatic re-adjustment in price. Is this simply a justified response to market forces, or is there a whiff of greed in the air? Arthur Motley has pondered the arguments long and hard. 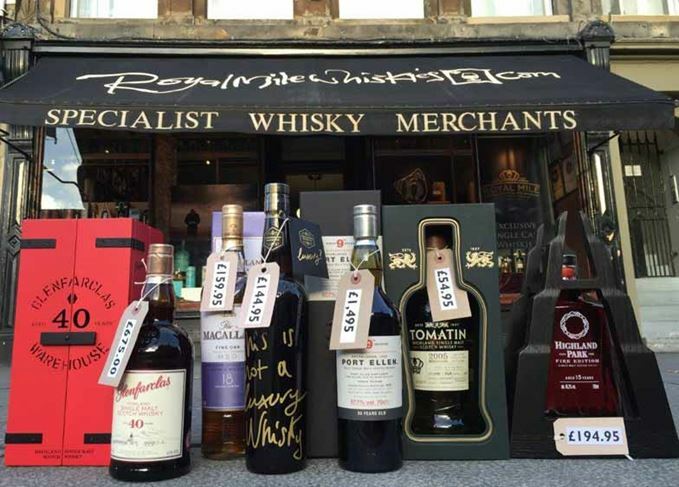 After 16 years in the business as a buyer for the Scotch Malt Whisky Society (SMWS) and now with Royal Mile Whiskies, he finds himself caught in the middle. On the one hand is an industry naturally keen to value rarity and deny the excesses of a secondary market inflamed by speculators. So here’s the question: Has Scotch whisky become too expensive? ‘Compare the amount charged for other leading spirits in UK supermarkets and the price of Scotch whisky seems fair. Hennessy VS, likely to be well below five years old, trades at an average of £25.67, while Jack Daniel’s averages £21.50, versus Famous Grouse at £15.30, and Glenfiddich 12 Year Old at £31.67. Quality arguments aside, the cost of ageing the world’s best-selling malt is undeniable and its pricing reflects this. ‘In the past six to eight years, the price rises have been rapid and shocking, and most experienced drinkers fixed their ideas of what whisky should cost during the last days of the “whisky loch”. As a buyer of casks for the Scotch Malt Whisky Society new to the trade in 2000, I learnt price formulas for bulk stock that hadn’t changed for a decade. ‘The first five years of buying bottled stock for Royal Mile Whiskies saw unchanging list prices, and in retrospect any malt over 12 years old was ridiculously cheap. An 18-year-old was not priced according to what it cost to make, mature and bring to market, but according to what it could sell for and how many casks were languishing in the warehouse. ‘You could argue that only now are the costs of production really taken into account, and even then new distillery start-ups rarely charge less than £50 for a five-year-old. ‘At the top end, the industry has simply responded to a ripening demand for luxury and extravagance, while simultaneously playing catch-up with a white-hot secondary market, which has continually contradicted the “overpriced” argument. ‘Were distillers supposed to stand by and watch a new type of consumer spend a fortune on claret and handbags, but just £50 on a 30-year-old malt? How did the person who priced Bowmore Devil’s Cask I or Port Ellen 9th, 10th and 11th releases feel as he or she watched private individuals make more profit per bottle than the producer? ‘After a terrible 1980s and a fairly awful 1990s, the industry had a good decade commercially. Aged stocks are now more precious. Anything desirable that is under-priced will be rounded on by speculators. Lagavulin 16 Year Old is around £50, Springbank 10 is less than £40, and Bowmore nine-year-old in Sherry casks is less than £30. ‘Whisky is a commodity, but it is also something cultural, and a thriving community has grown up around its pleasures. The saddest thing about the shift in whisky pricing is the effect on its core fans, reminding me of changes in football. ‘In the late 1980s, going to a match was a simple, affordable pleasure where lovers of the sport all mucked in and felt part of the process (yes, I know ’80s football had its warts and all). ‘Today’s tickets are so expensive that many local fans are forced to watch it on TV, while foreign visitors might pay more for a seat than the international flights to get to their “home” ground. Once inside the stadium, the atmosphere is not what it was. And it is the same with great whiskies that only serial luxury goods consumers can now afford, leaving fans who built up a decade of appreciation drooling over bottles on the internet. ‘As an industry, we encourage reflective appreciation, but so many goals are now virtually impossible. If you fell in love with single malts in the 1990s, you might aim to taste or collect something from every Scottish distillery. Today, even excluding closed distilleries, that would be a very expensive undertaking. ‘Some remember what 30-year-old Islay malt tastes like but, for most, those flavours have become almost unaffordable. So too are the unique tastes of Japanese whisky with a bit of age or Mizunara oak, or old Speysides that have turned tropical after decades in wood, or single casks that the most prestigious distilleries have declared their best. ‘Arguably, a balanced understanding of whisky is now only possible if you are trade, press or very wealthy. ‘I understand the arguments about catering to a new, luxury-focused consumer, but does the industry need to rub our noses in it quite so much? I don’t want to own a Lamborghini, a Rolex or any Lalique crystal, but I do want to know what Bowmore tastes like after 40 years in wood. Tortured soul that he is, Arthur Motley has neatly skewered the arguments on both sides. The pound-shop pricing of the past smacked of desperation and was never remotely sustainable, yet it’s fair to ask if the pendulum has swung too far the other way, and whether you can achieve a balanced understanding of whisky nowadays unless ‘you are trade, press or very wealthy’. Those peddling luxury talk endlessly of aspiration with products dangled like the proverbial carrot on a stick to keep us climbing the ladder of price and perceived quality. And Motley is right – it does grate after a while. Growing up down the road from Glen Moray inevitably led to a career in whisky for RMW’s manager.